At Steele Mechanical, Heating and Air Conditioning, our Lawrenceville heating contractors and air conditioning services team make it their mission to provide the highest quality home comfort services to the local community. We have the knowledge, skill, and experience necessary to install, repair, or replace any conventional heating or air conditioning system. The one constant in all of our work is our goal to achieve the highest levels of customer satisfaction possible. If you need to hire a professionally licensed HVAC contractor in Lawrenceville, call Steele Mechanical, LLC Air Conditioning and Heating. Our polite staff would be happy to assist you in any way that we can. We can answer any question that you may have about your HVAC system. We would be excited to schedule your appointment today. During the summer, every Lawrenceville family deserves to have a fully functional and efficient air conditioner in their home. Our air conditioning company is here to ensure that this is the case for you. We will work our hardest to provide you with the highest quality services possible. Our team is adept at both routine air conditioning maintenance and emergency AC repairs. Through our air conditioning tune-up services, we can prepare your unit for the heavy demand of the summer. In the case that your air conditioner completely fails, our emergency AC technicians are available around the clock to take your call. We will work tirelessly to restore comfort to your home. You and your family rely on your furnace every winter for your warmth, comfort, and security. After years of heavy use, every furnace will eventually reach the end of its service life. When you need to replace your furnace, it is important to hire a professionally licensed heating contractor of the job. Our Lawrenceville heating contractors can assist you with every stage of your furnace replacement project. First we will troubleshoot your system in order to determine whether or not you should repair or replace it. Second, our experts can inspect your entire home and inquire as to you particular comfort goals. With this information, we can help you select the best replacement furnace for your property. In the end, our Lawrenceville heating repairs team will install your new furnace in the most precise fashion. Your new home comfort system will provide you with warm, reliable, and efficient heat for years to come. 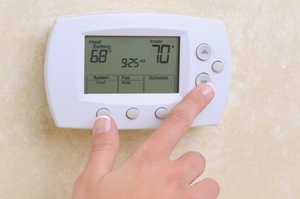 You and your family will be completely satisfied with your new heating system. If you are looking for a professional Lawrenceville heating contractor or air conditioning company, then please call 609-259-3210 or complete our online request form.